If you love the idea of an ultrabook but can’t quite justify the expense, Chromebooks can provide the perfect alternative. Similar to ultrabooks, they’re lightweight and speedy and as long as you don’t mind compromising on the amount of available RAM, make the ideal first computer or study assistant. With brands including Google, Acer, HP and Dell all competing for a slice of the Chromebook market, there’s plenty of choice for those looking. While Chromebooks are typically cheaper than ultrabooks, the cream of the crop has to be the Google Pixelbook. Yes, it’s priced way higher than the others on our list, but if you’re looking for top screen resolution and heaps of storage and a RAM that matches an ultrabook in performance, it’s the way to go. Those looking for a cheap computer should look at something like the Acer Chromebook R11. Its price is more typical of a Chromebook and for that you get the typical 4GB RAM and lower storage. However, for those looking for a machine to carry out everyday tasks and run everyday programmes, it’s more than good enough. Whether you’re using it to write up your project, to entertain you on the go or even to quickly research something in tablet mode, when it comes ultrabook like for likeness, the Google Pixelbook is your machine. Great for those who prefer the Google operating system over Windows or Mac, you can still benefit from the speedy latest processor, great screen resolution and a fantastic 16GB of RAM, which makes it, alongside the Pixelbook Pen, good enough even for graphic designers. The Acer Chromebook is what we call a traditional Chromebook. Android and Google phone users will be familiar with the way the system works. As an internet only device, it’s ideal for writing up projects with Google Docs or using Google Sheets to manage data. While other operating systems can start to under-perform once the updates become too heavy, the Acer Chromebook should become faster, and with the device also immune from viruses, you can work assured that your documents are safe. 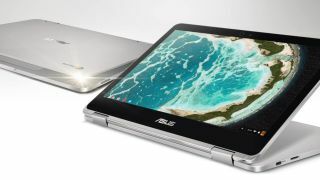 If you’re looking for the next version up, the Asus Chromebook Flip should fit the bill. Swivelling 360 degrees on its hinges, it offers the same versatility as the previous two Chromebooks but with plenty of battery power to boot. Whether you’re watching the latest TV series on the HD screen, using the internet and Docs for working at home or you’re simply looking for a sleek, lightweight laptop to take with you wherever you go, this Chromebook will certainly fare well. If you’re not too worried about your Chromebook turning into a tablet, this HP Chromebook 12 is a fantastic alternative to the Asus Chromebook Flip. Externally, the machine is sleek and stylish, with HP suggesting that it could even boost your professional image! With a QHD+ screen and B&O speakers, this laptop isn’t just about work; watching films and television programmes should be a great experience, too. Other things to note are its quiet performance, built-in security and substantial battery life. With its spill-resistant keyboard, rubberised edges and Drop Protection, this Chromebook is perfect for kids. Whether they take it to school to help them through class or use it at home for their homework, this cost-effective, versatile machine will more than do the job. Providing you with access to the Play Store, you can get to all the apps that they need to complete their work, while the external screen, with its 10x higher scratch resistance, is ideal for watching films and TV series. Setting you back around £240, it may not be as high tech as the others but it’s well suited to its audience. The Acer Chromebook 15 has a lot going for it for an RRP of £400, including a sleek and stylish exterior, a decent screen resolution and a good amount of storage. While the HP may may have the upper hand on the performance ratings, features such as the immersive sound, large touch pad, plus the addition of a high-quality webcam for video calls make this an ideal computer for work and play. With the addition of a 12-hour battery life and full access to the Play Store, the Acer Chromebook pretty much offers the full package.